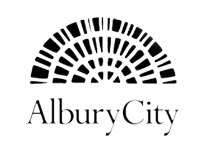 We provide a mobile and licensed plumbing service to the Albury & Wodonga region and surrounding communities. Give us a call if you require an Albury plumber, a Wodonga Plumber, or a plumber in the southern Riverina, Murray or Alpine areas. Providing a timely plumbing service for all of your general plumbing maintenance needs. Being a licensed gas fitter we provide installation, maintenance and repair of your gas supply & appliances. We can assist you with rapid drain clearing and repair of damaged drainage and plumbing. Our team are experts in the maintenance and repair of roofs and guttering. We are very proud to have been servicing the plumbing and gas-fitter needs of the Albury and Wodonga community for over 20 years. Our team are all locals – born and bred, and we enjoy assisting the community that supports us and our families. We actively support local clubs and associations in the region. We partner with designers, builders and owner/builders to equip residences with complete plumbing solutions. We focus on plumbing of new housing, light industrial, extensions and renovations, drainage including sewer, septic tanks and storm water. “It is with confidence that we recommend Matthew to anyone looking to engage a plumber to do business with. We initially engaged Matthew to work in our business, Stean Nicholls Real Estate as a plumber for our Property Management Department in about 1999. Thank you for your attention to all my plumbing installations and maintenance problems over the last few years. You have responded in a timely manner, providing a complete service, even to integrating the permits with regulators in a professional manner. The work has been completed to my complete satisfaction, and I appreciate having a plumbing service that can be relied on to work to a high standard. “I recently engaged Matthew Graham Plumbing to repair a major and urgent problem with our sewer line, on the strength of a recommendation from a senior figure in the plumbing industry. Matthew and his crew arrived very promptly, completed the work on the same day and produced excellent workmanship. In addition, I consider the bill to be very reasonable indeed for the extensive work required.